Hooded fur coat designed for women, the coat is made of merino lamb fur. This coat is made of lamb nappa leather, which on the outside is resistant to moisture and dirt, while the interior offers the comfort and the necessary protection against the cold. The inside is made of trimmed merino fur, to a thickness of 8 mm. 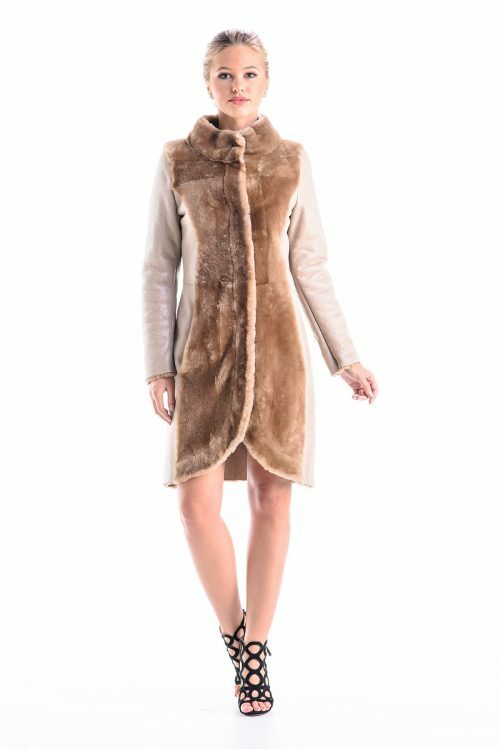 This fur coat has a casual-elegant style and detail given by the geometry of the collar trimmed lambskin is very pleasant. The coat closes with a drawstring lamb nappa leather and four assorted buttons. The coat is available in three colors: beige, brown and grey.